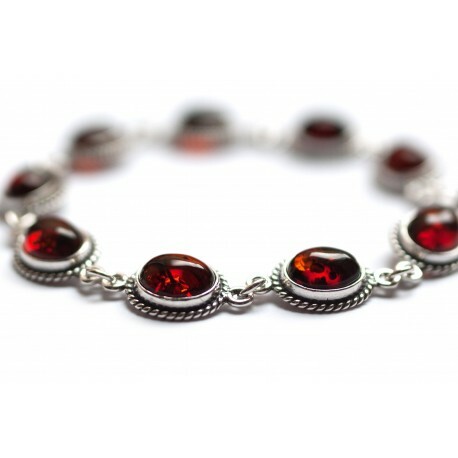 Elegant silver bracelet with Burgundian wine-colored pieces of amber. The cold brilliance of silver contrasts with rich cherry amber color. Oxidized surface layer gives amber such red color. Natural red shade of amber is extremely rare (only 0.5 percent). Red amber color is usually produced by heating transparent amber (forced oxidation).